Nicola and Darrel found me through a recommendation before booking myself for their Belle Epoque Wedding in Knutsford, Cheshire. They wouldn’t mind me saying they were very relaxed about wedding planning. We spent most of the wedding consultation playing with the Smart gadgets they had setup in their lounge. I have to say it’s definitely the only wedding consultation where I’ve had disco lights going as I run them through the order of the day. I loved it! From the first meeting I knew Darrel, Nicola and I were going to have an awesome day. Expressing a strong dislike towards the traditional ‘posey’ photographs and a strong like for a lot of candid shots. Therefore they were keen to just let me do my thing with a real confidence in my work. I love weddings in small Cheshire market towns. Everything is always so neatly packed in. A Belle Epoque wedding is a very different wedding. Built in the Arts and Crafts movement it stands strong and unique. Squashed in tightly at the sides by neighbouring businesses it’s hard to imagine having a wedding there. Although once you wander in it’s immediately clear it makes a stunning venue. One of my favourite shots is Nicola and Darrel embracing after their first kiss. I love the emotion in it but the reason I love it is al the guests in the photo just make it. All of them latched on to the couple with their eyes while clapping in euphoria. It’s a rare shot as usually someone holding a camera. I just love how everyone is just in the moment. The Bridesmaids on the bed photograph is a great display of personality. Taken at The Rose & Crown next door and not only do I love the rooms but the bridesmaids ‘Bride Tribe” outfits really make the shot. Not to mention the stupidity they’re getting up to! I’m a Stoke-on-Trent wedding photographer who often ventures further afield including Staffordshire, Derbyshire, Cheshire, Shropshire and the rest of the UK. 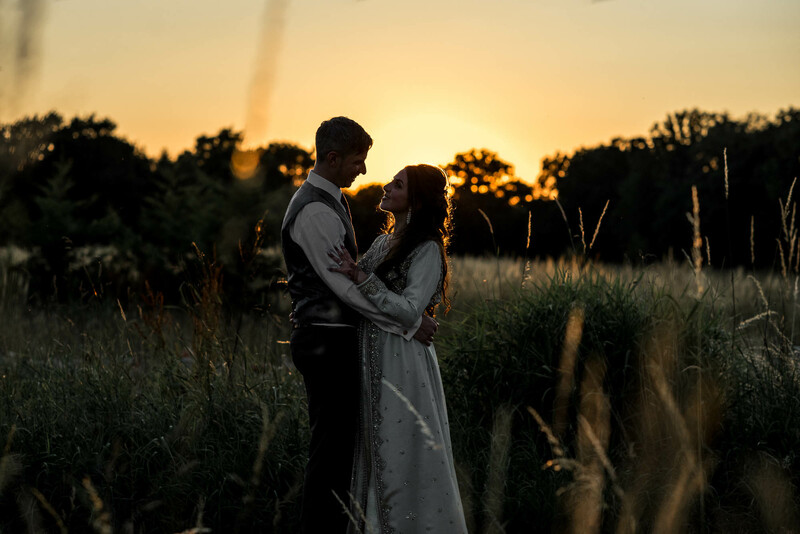 If you are interested in having me photograph your Belle Epoque wedding, head over to my contact page to drop me an email about your up and coming wedding.